From my Facebook page, I found out that I have quite a few followers that teach older students. So, I asked my friend, Sandy K., a 6th grade teacher, for some ideas to share with you. When I write about Sandy K’s ideas, I will call these posts Special K tidbits so you’ll know I’m passing along someone else’s great ideas. One of the activities Sandy does at the beginning of the year is actually a writing assessment. Sandy begins with a letter, a letter from her to her students. 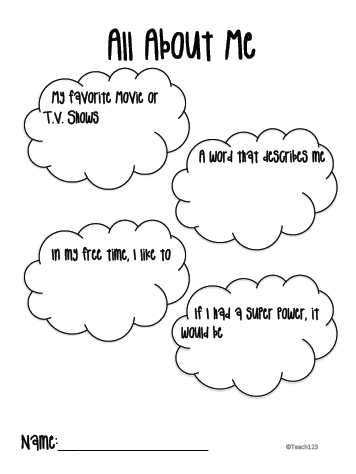 She tells her students about her personal interests such as favorite movies, a word that describes her, and what she enjoys doing in her free time. This helps her build a personal connection with her students. Sandy then tells her students she would like them to write her a letter so can learn a little more about them. They can use some of her ideas like their favorite movie or write about their own topics. This activity is dual purpose. Sandy gets to know her students on a personal level and also gets a glimpse of their writing skills. 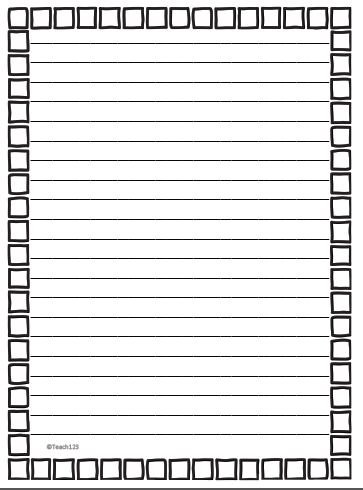 I made a graphic organizer that you can use for this activity and a page for the letter. Thanks. What a great idea! Wish I was an English Teacher (I LOVED teaching Middle School kids, but I taught Science). I had already planned to have my students write a letter about themselves, but I love the idea of me writing one first to model the correct form and to share a bit about myself. Thanks!